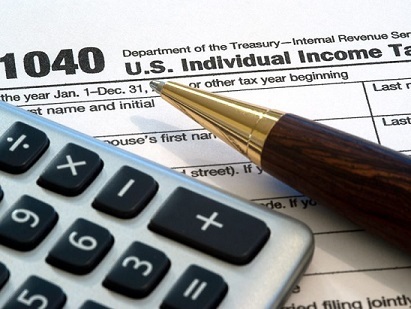 The IRS is advising veterans who received disability severance payments after January 17, 1991 (and included that payment as income) that they should file Form 1040X, to claim a credit or refund! Volunteers of America Northern New England has built the "Cabin in the Woods Community" - a supportive rural community of 21 cabins providing permanent homes for veterans and their families. 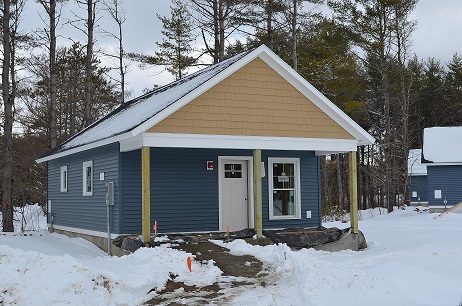 The cabins were being built on 11 wooded acres on the grounds of the VA Maine Healthcare System and are within walking distance of services. Volunteers of America Northern New England is asking for YOUR HELP TODAY! If you'd like to help transform a formerly homeless Veteran's new housing into a true home, please check out the Target registry or see the list of items needed below. Items listed in RED are in great demand! Go to www.target.com and search their registry by Organization: Volunteers of America or Cabin in the Woods. If you wish to not shop at target, you may deliver any items purchased to Volunteers of America NNE, 14 Maine Street Ste. 100, Brunswick, ME 04011. The Maine Military & Community Network invites YOU to join one of their ten (10) Regional Groups across the State of Maine. 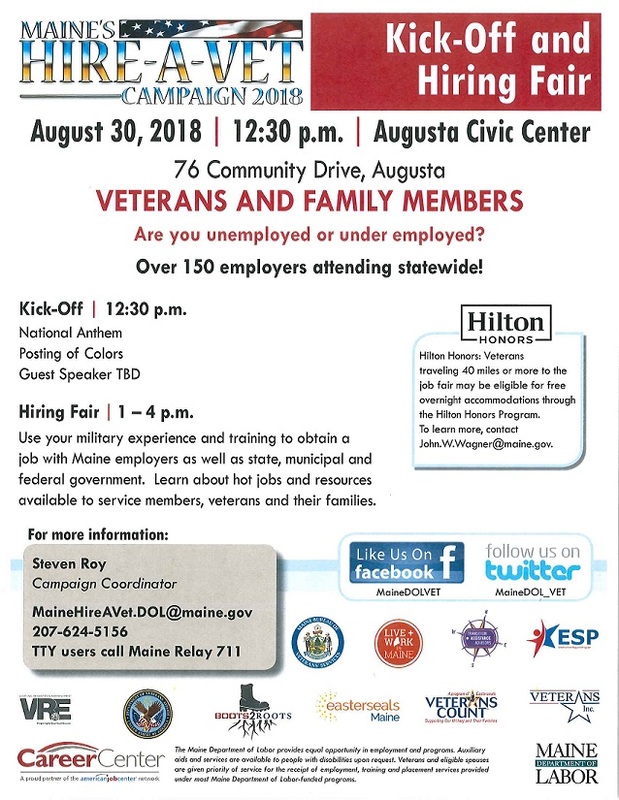 The Maine Military & Community Network is an organization comprised of 10 regional groups throughout the State of Maine with a mission of supporting Maine Military Members, Veterans, and their families in their local communities, as well as Maine’s Joining Community Forces and the MyVA Community Initiative. Regional Groups serve as a local forum for Maine Service Members, Veterans and their Families along with Federal, State and local military advocates; all coming together to identify unmet needs and develop local solutions. The Maine Bureau of Veterans' Services has partnered with researchers at Beth Israel Deaconess Medical Center to survey the organ donation opinions of service members and veterans. The survey will take about 15 minutes, and you will receive a $10 Dunkin Donuts or Target gift card upon completion. If you would like to take part in this study, please use the link below. Your responses will be completely confidential. If you want the gift card, your name and address will be needed for mailing purposes, but that information will not be kept after the gift card is mailed. Please visit Donate Life America's website for more information.